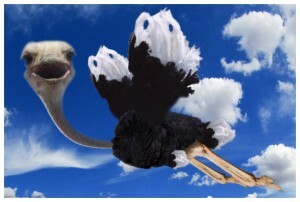 The giant-est bird in Africa! I keep telling Ali (and myself), it’s OK to be anxious. It’s challenging to make all these choices about what to bring. Oh the pressure of the weight-load limit – we can only bring 1300 lbs of stuff with us inside the RV. That has to include us and we aren’t in our new svelte bodies yet, so the damn RV has to be on a diet too! It’s scary to accept that there’s a giant barrel full of things we don’t know right now, things we’re only going to learn well after they’re already happening to us. It’s scary to contemplate a break down or flat tire in Alabama. In that scenario, we’re SISTERS! There are just so many layers of feelings and thoughts and not just our own. Though I’ve actually been pleasantly surprised at how positive and envious most people are when we share our plan. I guess I thought we’d be put in the “crazy” box more often, that people would be afraid for us, think us foolish. My friend Kathy said to me yesterday, “You’ve already done all of the things about this that were so scary to me, so now I’m just excited for you.” To her the scariest parts of this adventure were selling our house and quitting our jobs, letting go of the security we had established. One work colleague of mine has clearly had similar thoughts and dreams, because he sent me a bunch of quotes from Into the Wild by Jon Krakauer. This is so NOT how we roll! “So many people live within unhappy circumstances and yet will not take the initiative to change their situation because they are conditioned to a life of security, conformity, and conservatism, all of which appear to give one peace of mind, but in reality nothing is more damaging to the adventurous spirit within a man than a secure future. The joy of life comes from our encounters with new experiences, and hence there is no greater joy than to have an endlessly changing horizon, for each day to have a new and different sun. If you want to get more out of life, Ron you must lose your inclination for monotonous security and adopt a helter-skelter style of life that will at first appear to you to be crazy. 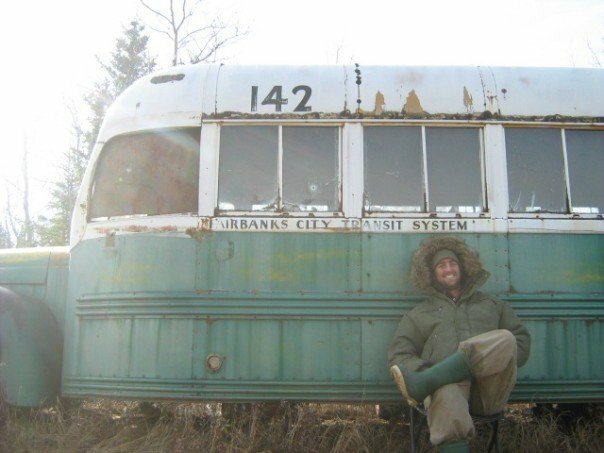 But once you become accustomed to such a life you will see its full meaning and its incredible beauty… move around, be nomadic, make each day a new horizon.” – Letter written by Chris McCandless, age 24 to Ron Franz, age 80. 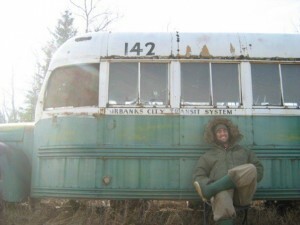 Perhaps I should be careful in aligning myself or my views with a guy who ended up dead in an abandoned bus in the middle of Alaska. My mom is already having some worry about our trip and that just might put her over the edge. At any rate, there are definitely moments, short ones though, where I feel fear around this choice we’ve made to restart our lives in this whole new way. 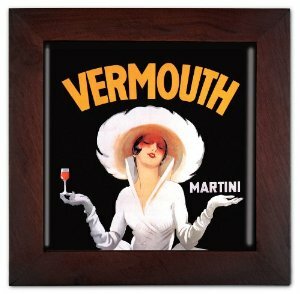 But that fear is like the vermouth in my life martini. It’s in the glass for a second, then I toss it out leaving only it’s herby essence behind to flavor the vodka. It’s an essential ingredient for sure, but it’s role is minor, measured in smidges and relegated to the “prep” of the drink. Mid-adventure, as I’m sipping away at life, I doubt I will feel any regular fear. I’ll just have the memory of it – and it will make that moment of living taste all the better.